As of 1st January 2015 there were twenty-three open medical schemes available to choose from in South Africa. The difference between an open scheme and a restricted scheme is that anybody may become a member of an open medical scheme. Restricted medical schemes are generally only available to employees and their dependents of a particular company or organisation. The GEMS medical scheme for example is only available to government employees such as teachers in government funded schools. It is especially important that you read the rules for such schemes. GEMS itself has exceptions whereby even though you may be a government employee, you are still not eligible to be a member of GEMS. Such employees would therefore need to become members of one of the many open medical schemes. In South Africa we currently have 86 medical aid schemes in operation. If your employer does not have its own medical aid scheme, then you will need to become a member of one of the 23 open medical schemes. Irrespective of whether a medical scheme is “open” or “restricted,” they all fall under the supervision of the Council for Medical Schemes. A trustees’ board carries out the day to day running of each medical scheme. The members of the medical scheme elect the board. It is their job to ensure that the scheme continues to meet the requirements set out by the Council for Medical Schemes. They must also ensure that the needs and wishes of their members are met. Most importantly they should ensure that the scheme is financially strong and can meet any claims made by the members. Who can join open medical schemes? become a member of one of the open medical schemes they are allowed to apply a certain waiting period. 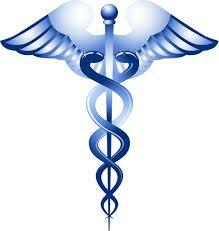 Discovery is considered to be the leader when is comes to open medical schemes in South Africa. The scheme has in the region of 2.6 million beneficiaries out of the 8.8 million people covered by all medical aids in South Africa. Because a scheme is in the list of five leading open medical schemes, it does not necessarily follow that they are the best scheme for you to join. There may be more affordable medical aid schemes in operation that meet your medical aid requirements just as well. Bestmed and the Liberty medical scheme for instance are also very highly regarded open medical schemes. This is why you really do need to do your homework. You must spend time to find out which of the medical schemes is best suited to your needs. You can find a list of accredited schemes here.